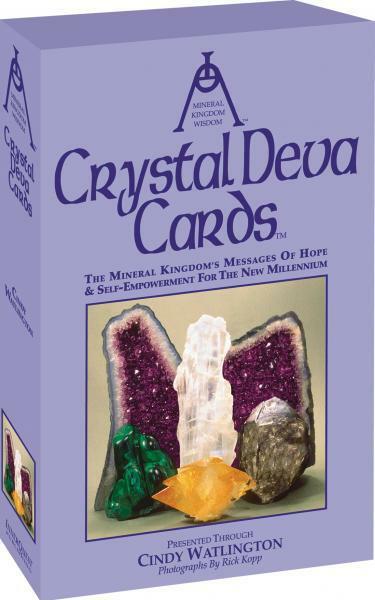 Box size: 5.9 x 1.7 x 8.8 inches The Crystal Deva Cards contain new information channeled from the Crystal Devas, Guardians of the Mineral Kingdom, to help humankind heal the emotional and spiritual life lessons of today's world. The 44-card deck features color photos of exquisite crystals. For healing, the Devas have energized each card with its stone's vibration. The 320-page book links cards to empowering Devic messages, helping you transform your life by releasing outdated belief systems, emotional entrapments, and fear. Very popular!